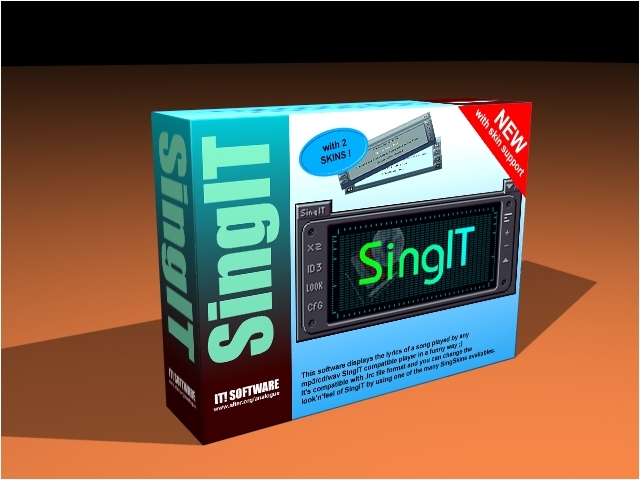 It's compatible with the .lrc file format and you can change the look'n'feel of SingIT by using one of the many SingSkins availables. There is also a Linux version of SingIT at http://stud.vas.fh-darmstadt.de/glogowski. NAD compatible (but only NAD v0.94+) !!! SingIT is no longer a Winamp plugin... nad-compatible soon !!! Big improvement in the singskin support: most everything is customisable now !!! SingIT Editor is out !